Imagine having a table coaster sets of 6, printed on both sides with a calendar for each month with 12 different themes with your branding to impress your audience to the level where they make sure to turn each one to understand your concept. The coaster can be further customised with your shape and size to impress the receiver further and depending on the quantities and budget the foam, rubber, acrylic and wood materials can be used. This will be cheapest promotion as you can cover over 12 products (you can add a container box for mother brand) one for each month and the quantities will bring down the overall cost of the above promotions. The advantage of the coaster is that you need to use it for the water glass apart from tea and coffee mugs throughout the day. A wide distribution of the coasters will ensure that all your employees, partners, associates and influences are connected and will use it for the whole calendar year making it a worthwhile promotional product. A company which was reaching a big milestone was interested in connecting with their target audience every alternate month and decided to put a coaster for each subsequent month along with various other small freebies to remind the yearlong celebrations. First month along with coasters they gave mugs and next mouse pad and so on so forth increasing over all promotions to six instead of routine 4 as was the earlier practice to highlight the major milestone with regular increased reminders. 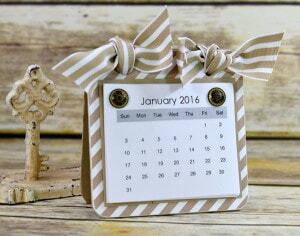 Apart from monthly calendars coasters can have various messages to connect with the target audience. The coasters can be used as the effective medium to pass on the vision, mission and purpose statement of the Company to both employees and outside world. The number of coasters can be increased or decreased depending on the exact requirements. Since there are 12 months we suggested printing on both sides of the coasters to make it worthwhile new calendar concept but you can always reduce the printing to one side and cover only 4 important points if that serves your merchandise purpose. 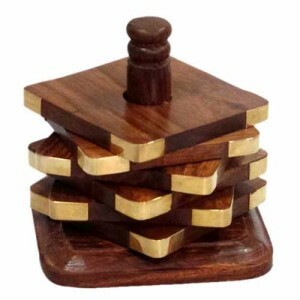 If your audience is high net worth then to be sure that your product is used you can go for brass, leather, marble, steel, glass or crystal coaster sets at various price points. You can select the material depending on the message and branding required. Leather can be embossed but then the photo quality printing is not possible whereas glass and crystal allows sand blasted messages. For mass quantities with long durability plastic coasters can be used in the custom colors with die mould designed for the purpose to ensure copy cats are at a big disadvantage. For photo quality apart from paper printing now you have choice of silicone rubber coasters where life is more with full colour messages. ← Promotional Leather Bag for Everyday Use!